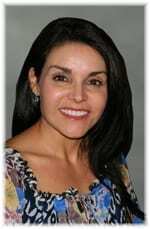 Veronica Medina serves as a Managing Director for 1stWEST Mergers & Acquisitions in Chile, Peru and Latin America. She brings 20 years of experience in international business development, having assisted companies in expanding their business to markets such as Canada, Europe, South America and the U.S. This work has been in multi-sectors, with a specific focus in industries such as biotechnology, environmental, energy and renewable energy, health, mining, ICT, and infrastructure. Ms. Medina is currently the CEO of BusinessHUB SL, an international consulting firm assisting foreign companies in their objectives to enter the markets of Argentina, Chile, Colombia, and Peru. BusinessHUB is part of Alcalde & Cia, a prestigious law firm who will provide a full range of services to companies looking at these markets. Veronica most recently served as Chief Operating Officer at TradeChile S.A. As COO, Veronica focused on international business development, operations, global sales and negotiations for clients in Chile, Peru, Colombia and Argentina. Veronica has a Certificate in International Trade from the World Trade Center Denver & Metropolitan State College in Colorado. In addition, she earned her Masters of Science in Clinical Pharmacology from the University of Aberdeen, in Scotland and undergraduate degree in biology from the Universityof Dallas, Texas.